Spores soar, invading our breathing space. When Jake was young I lost him in the crowd. 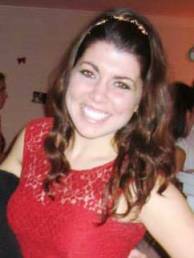 Sarah Garland is a senior English major from Severna Park, MD. She is has been on two break trips and is involved with sorority and Villanova Ambassadors. Like this poem? Come to the Open Mic Poetry Reading, Wed., April 23, 12 – 1 p.m. and you may get to hear this author read her poems. You’re also welcome to share your own.